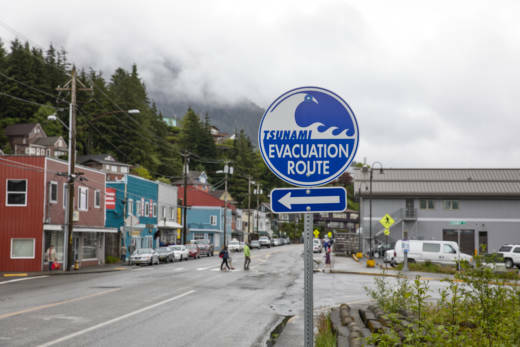 The U.S. Geological Survey said the first and more powerful quake was centered about 7 miles north of Anchorage, Alaska's largest city, with a population of about 300,000. People ran from their offices or took cover under desks. On March 27, 1964, Alaska was hit by a magnitude 9.2 earthquake, the strongest recorded in U.S. history, centered about 75 miles east of Anchorage. The quake, which lasted about four-and-a-half minutes, and the tsunami it triggered claimed about 130 lives.